DbInsights connects to your database and allows you to assemble graphs and pie charts into reports in no time. 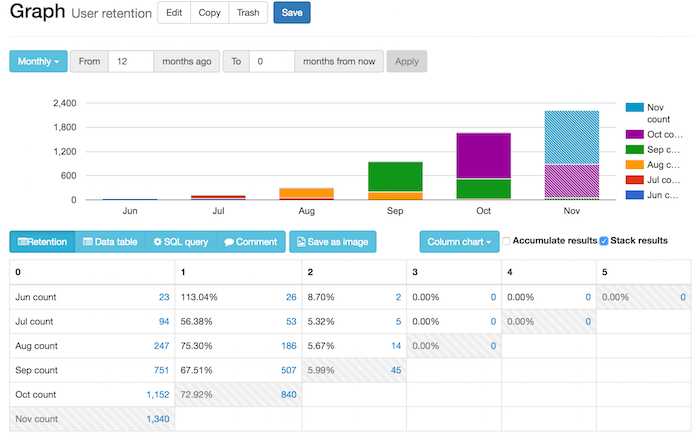 Group your graphs, pies and tables in reports that you can share with your collaborators. 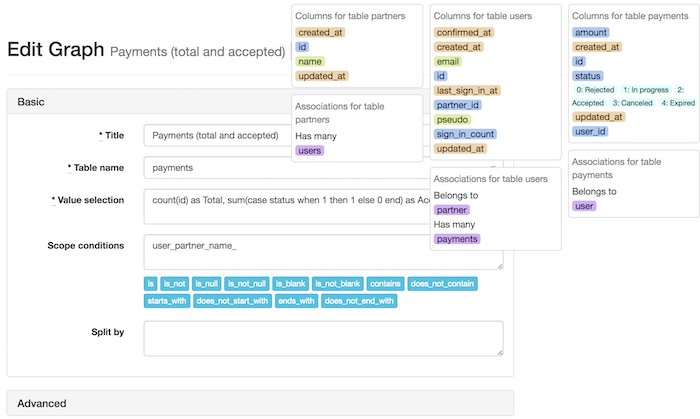 You can just click to describe conditions involving multiple tables, no need to worry about JOINs. Setting up your cohort analysis and retention rate table won't take more than a few minutes. DbInsights is a business intelligence and database analytics tool that requires no extra work. You don't have to setup any tracking, or send data points. Just connect your database and define your graphs on the data you already have. You can literally be up and running in a few minutes. 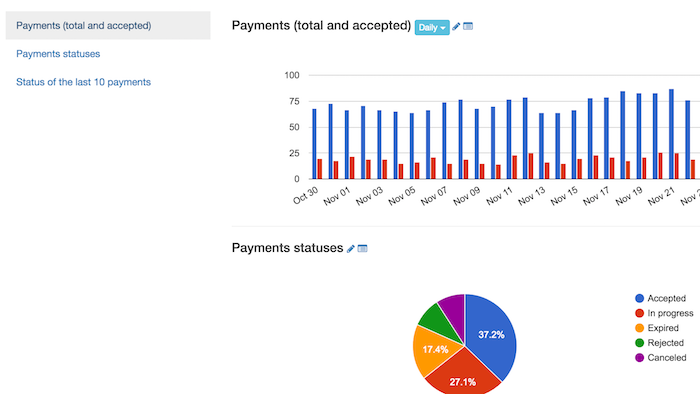 You can head over to the documentation section for more detailed information on the various features of DbInsights.